Home Pregnancy Tests Home Pregnancy Tests How To Read A Pregnancy Test? How To Read A Pregnancy Test? A home pregnancy test is a device that tests the presence of hCG in a urine sample and tells a woman if she is pregnant or not. So every woman curious about her pregnancy should know how to read a pregnancy test to avoid any mistakes. What is reading a pregnancy test? How to read an hCG strip? How to read a pregnancy test with a symbolic representation? How to read a pregnancy test with two result windows? How to read a digital pregnancy test? How to read a positive pregnancy test? How to read a negative pregnancy test? How to read a false positive pregnancy test? How to read a false negative pregnancy test? How to read a faint positive pregnancy test? A pregnancy test only detects hCG hormone and shows the results. A home pregnancy test is a qualitative pregnancy test. A home pregnancy test detects only hCG hormone and doesn’t figure out the reason for elevated hCG level. Reading a pregnancy test is drawing conclusions from the pregnancy test results. Reading a pregnancy test is not merely looking at the lines that show up in the result window of a pregnancy test. One has to consider all other changes such as missed periods, tenderness of breasts, dilation of the cervix, cervical mucus changes, etc. A home pregnancy test is best used when the user is aware of herself. 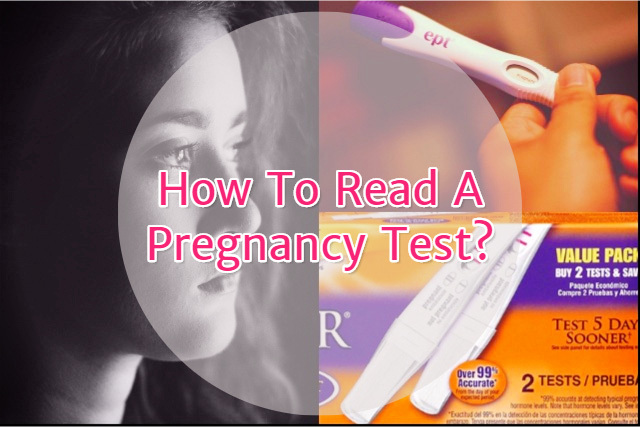 Pregnancy test reading is the last step of taking a pregnancy test. However, if someone wants to detect pregnancy using a single test then she should pay close attention from the beginning. Reading a pregnancy test from the start will help you to avoid missing on the time slots. When you keep your eye on the pregnancy test, you don’t have to make any assumptions. If anything goes wrong later, you’ll be aware of what happened from the beginning. You will see how the urine rises in the pregnancy test and also the gradual darkening of control and test lines. Reading an hCG strip is very easy. It has two lines that should appear after taking the pregnancy test. The first line is the control line, and it will appear first in the direction of urine movement. The second line is the test line, and it will appear second and only when you are pregnant. The first line that appears, in this case, is also the control line. It only shows that the pregnancy test is in working condition. A single horizontal line appearing in the test window will be a minus sign. This minus symbol is only for a negative pregnancy test result. It shows you are not pregnant. A symbol with double lines crossed making a plus sign shows a positive pregnancy test result. It shows you are pregnant. A pregnancy test with two result windows has a window for control line and other for test line. This will assure that you don’t have to worry about spreading of a single line covering the entire window. A dual result window in pregnancy test prevents big fat positive pregnancy test. A digital pregnancy test is twice as easy as a standard pregnancy test because it itself interprets the results itself. A digital pregnancy test displays pregnancy test results as symbols or as phrases ‘pregnant” or ‘not pregnant‘. All you have to do is that you read the results as soon as they appear because they might vanish after some time. A plus sign represents a positive pregnancy test, and it shows you are pregnant. A minus sign represents negative pregnancy test, and it shows you are not pregnant. A second line or a plus symbol indicates a positive pregnancy test. You have to wait for a little less than the complete time as it will show up earlier. For a negative pregnancy test, you’ve to wait until the end for final confirmation. A minus sign or absence of any test line shows a negative pregnancy test result. For reading a negative pregnancy test you need to wait until the last second of reading pregnancy test result passes. A false positive pregnancy test is self-detectable when the woman knows and is confident that she has not conceived. A false negative pregnancy test is detectable if one continues to experience early pregnancy symptoms. A faint positive pregnancy test is a positive pregnancy test no matter how frail the test line is. For knowing how to read particular brands of pregnancy test you can read our reviews of different pregnancy tests. It is important to know that nothing is universal about pregnancy tests as they all differ a bit from each other. The key to getting accurate pregnancy test results is follow up of the particular instructions. Previous articleHow Much Is A Pregnancy Test?